From the votes of 12,000 readers, here are your top short city riding boots. Not only does this boot have a watertight and breathable Gore-Tex membrane, the outer leather is a soft, greased, water-repellent cowhide. 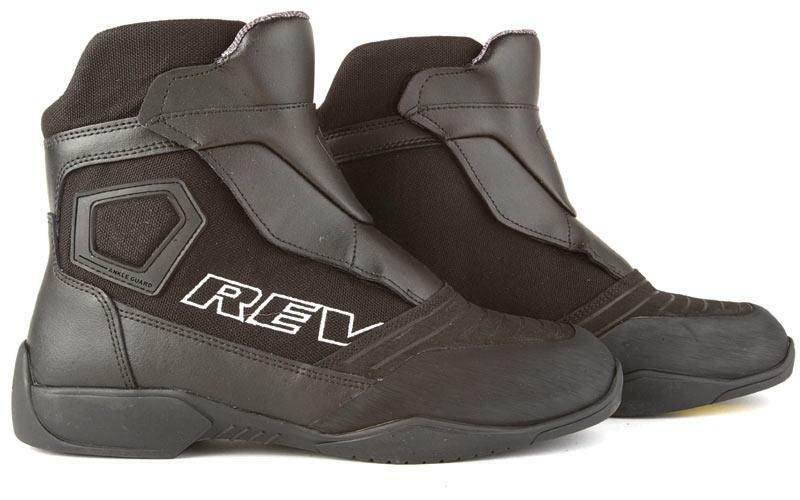 They have two side zip fasteners to make it faster to get them on, ankle protection both inside and out, reflective panels for night riding and a plastic reinforced inner sole with a steel protective inlay. 2. 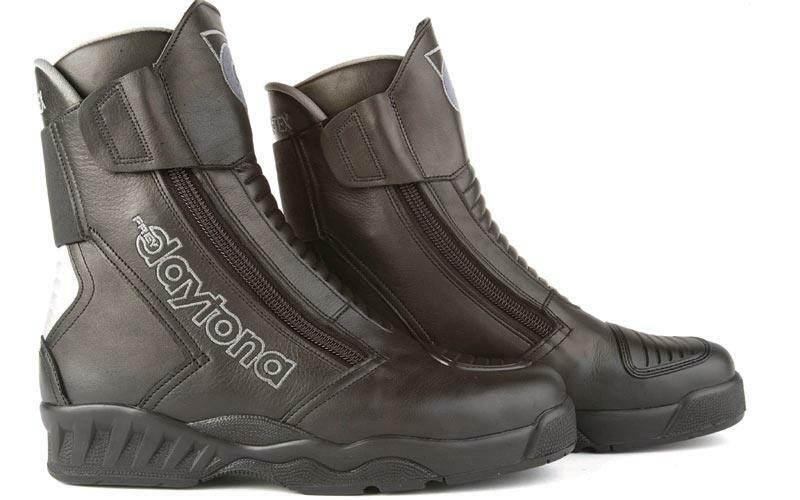 Daytona Journey XCR, RRP: £179. This short Daytona boot is made from full-grained, water-repellent greased cowhide/perforated leather. 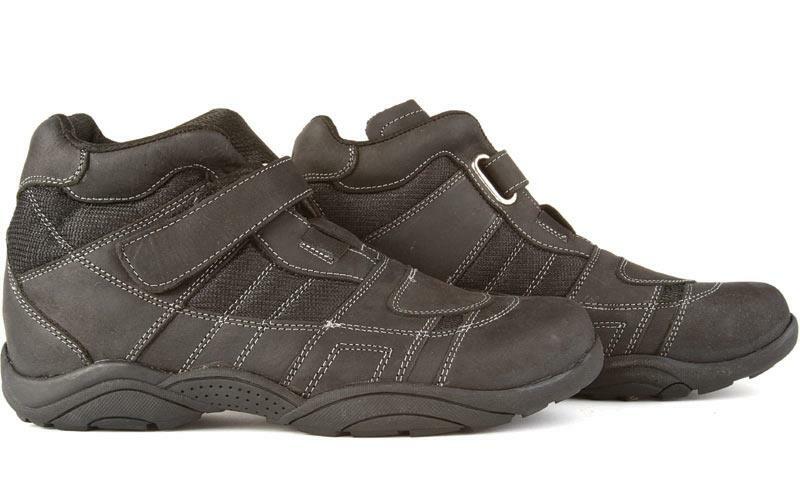 It has a textile lining for breathability and for optimum heat dissipation to prevent overheating of your feet. They have two velcro fasteners and a reinforced gear change cushion from abrasion resistant PU foam. This TCX boot’s main construction is a combination of suede leather and an AirTech fabric. There is a polyurathene ankle support and a speed lacing system with overlap Velcro closure to make them quick and easy to put on. 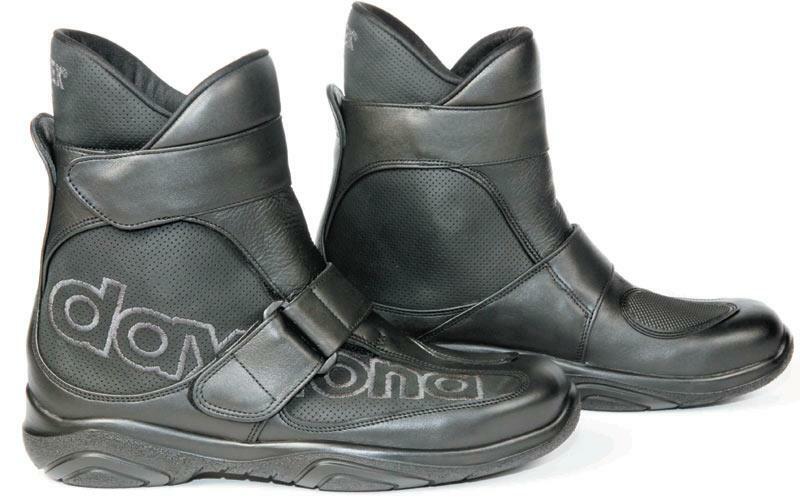 The sole is oil and petrol resistant just like more traditional bike boots. These waterproof Fighter H2O short boots are ideal for commuting or summer touring, combining comfort, safety, and a casual look. 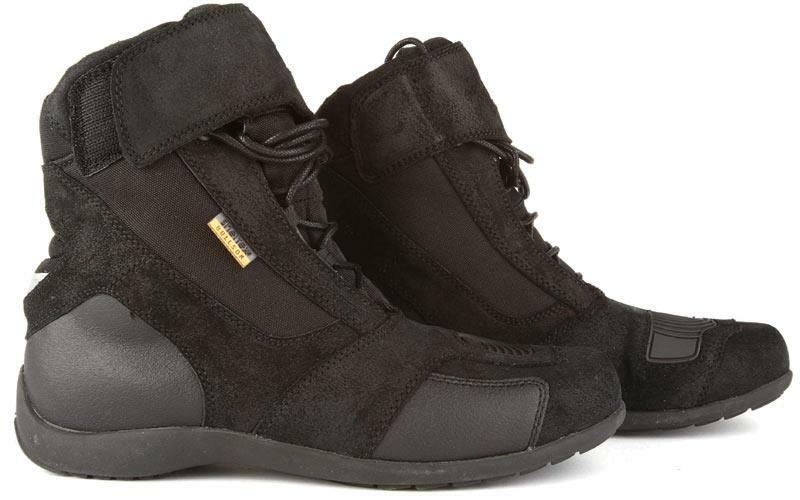 The boot features an oil and petrol-resistant sole, and the heel and toes are protected by thermo formed plates. 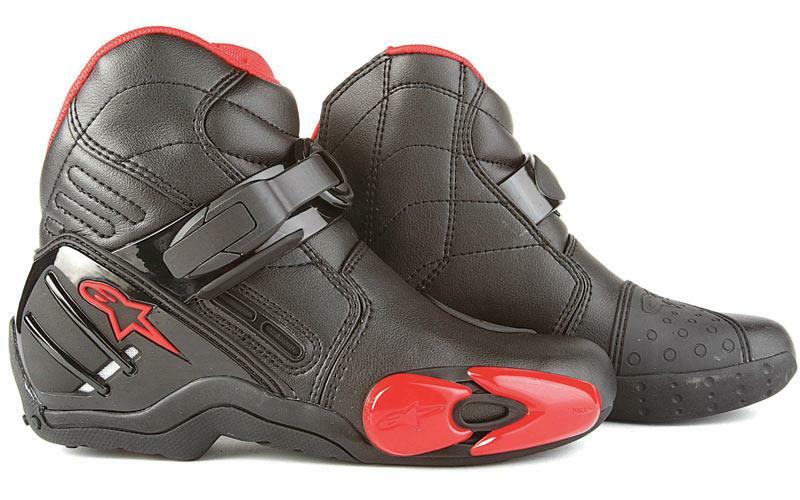 The casual design of the Fighter H2O easily passes as a casual trainer. 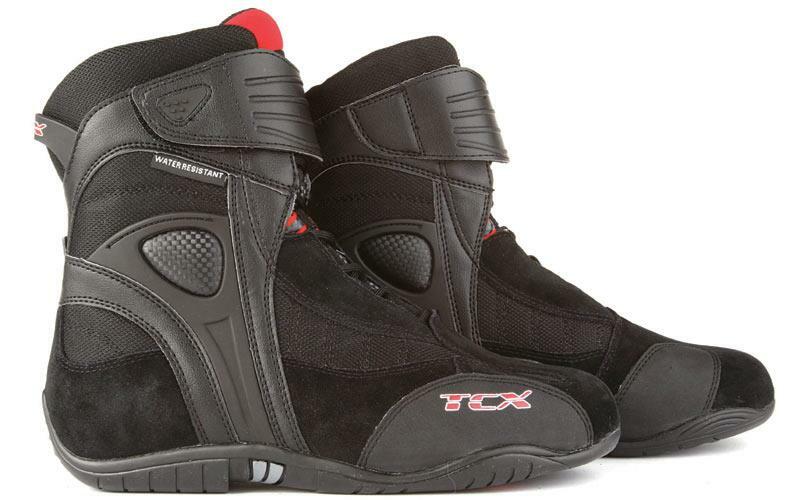 Utilizing technology from the S-MX 4 road boot, the S-MX 2 is a low cut, performance street boot. Incorporating much of the protective technology present in its larger sister boot, this boot offers great flexibility without sacrificing safety. Toe sliders are replaceable and there is a tensioner across the top of the foot. The One-O-One is a more street focussed boot than the SMX-2 – it has a more traditional lacing system, a perforated tongue to get better airflow to the feet, a suede-lined anti-sleep ankle, plastic moulded heel plates for protection and a sticky rubber sole that’s designed to work in wet conditions. 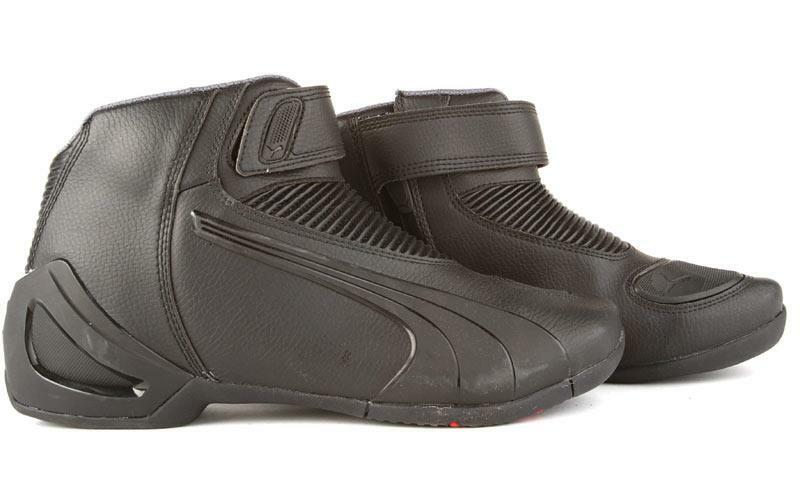 The Flat 2 V2 is a performance boot specifically tailored for the urban rider. Thanks to the 360° degree ankle protection cockpit, which combines TPU molds and inner foam inserts, this boot offers improved stability as well as lateral impact protection. It has TPU inserts on the medial and lateral ankle level and toe inserts in the forefoot for increased protection in the event of a crash. This is a full grain leather riding trainer from Frank Thomas. It has inner and outer hard plastic ankle discs for protection as well as a double-fluted steel shank in the sole. The mesh liner is anti bacterial and the sole itself is anti-slip. It has a faster and simple fastening system with a fold over Velcro flap. This is Hein-Gericke most trainer focussed riding boot, but as with all Gericke stuff it’s practical and functional with a waterproof and windproof membrane. You can customise the lacing for your best comfort, has removable insoles, reflective panels on the heel for riding at night and inner and outer ankle protectors and a reinforced plastic sole. Join MCN’s Biking Britain Survey!